Writing a letter to Santa? Read this first. Meet the man beneath the big red hat. You probably know about Father Christmas. At least, you know some things. You might know about the Toy Workshop, and the reindeer, and what happens on Christmas Eve. But – pssst! Have you heard of a magical town called Elfhelm, full of elves and gingerbread houses? 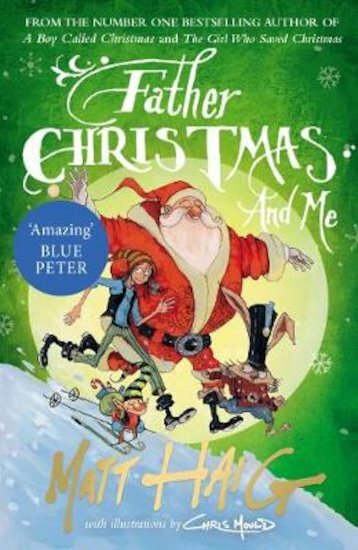 Did you know that Father Christmas once adopted a human girl, Amelia? (OK, if you’ve read The Girl Who Saved Christmas, you will know that!) But have you heard of the bad elf Father Vodel, or of the great battle for Christmas? Probably not, as that top-secret story has never been told – until now!